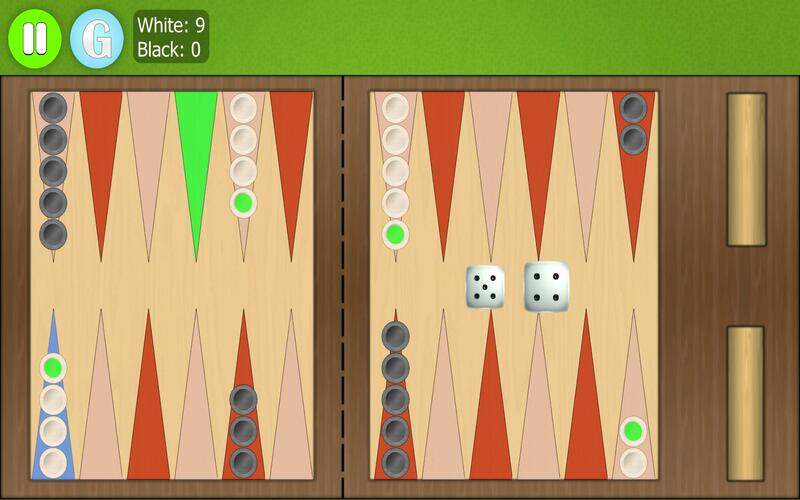 Play a classic game of backgammon. 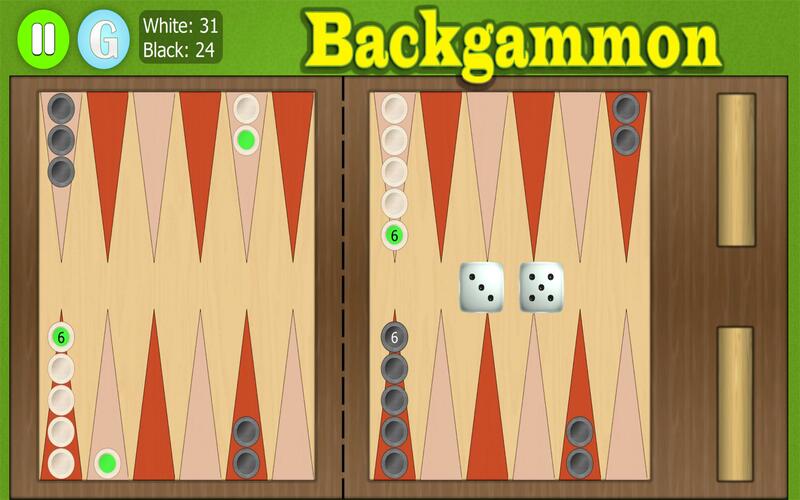 Backgammon is a board game in which you move the pieces around the board according to dice rolls. Once you get all the pieces in the house you take them out according to your dice. The first player to get all the pieces out wins the game. 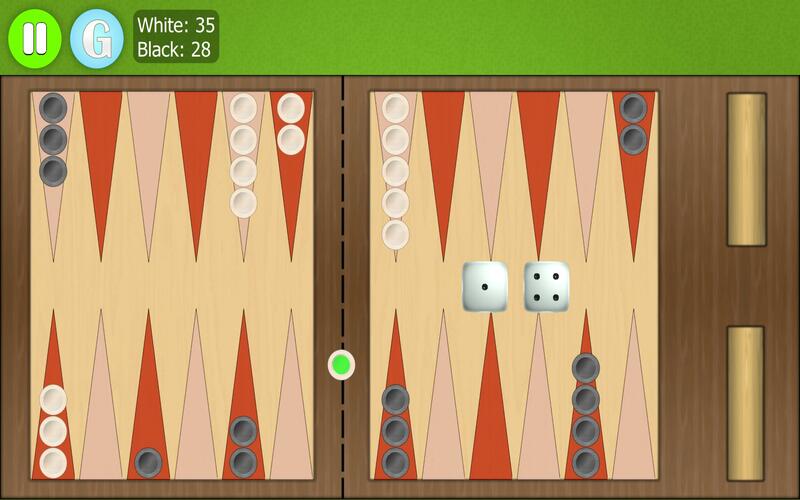 ✓ Your pieces are white and your opponent's pieces are black. There are 24 places on the board and two places to deposit the pieces. The 24 places are represented as triangles and called points. So the 1-point is the first place where pieces can stay. ✓ The points from 1 to 6 are called the opponents’ home and the points from 19 to 24 are your home on the board. 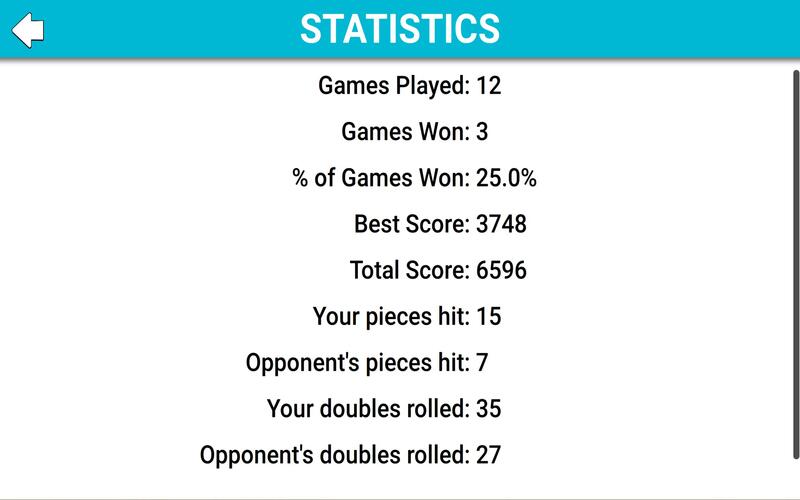 The opponent needs to bring all his pieces in the home region in order to take them out and so do you. ✓ You can move around the board in one direction. You move from the bottom-right corner to the bottom-left corner then to the top-left corner and finally to the top-right corner on a path that resembles a horseshoe. The points from 1 to 24 follow this path in the same direction. Your opponent moves in the opposite direction following this path. 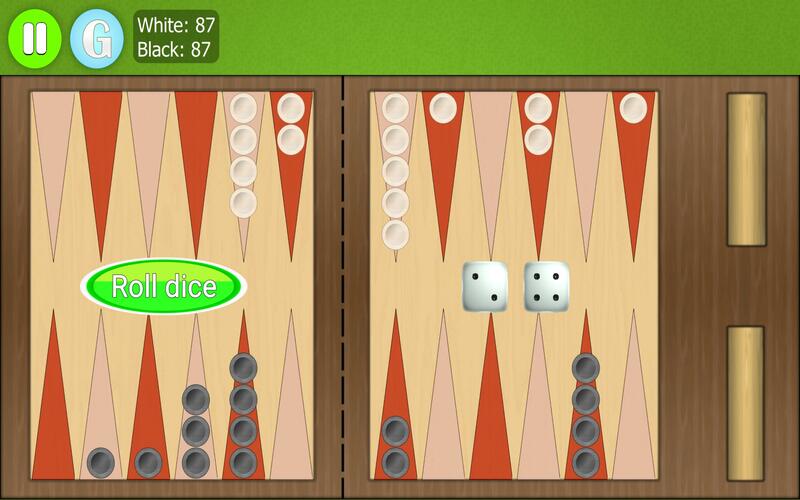 ✓ The game starts with a couple of dice rolls that decide which player should begin first. The opponent rolls first, then you. The one with the biggest pips’ count on the dice starts first. A pip is a dot on the face of a dice which counts as a point of movement or placement. ✓ When your turn comes you start by rolling the dice and continue by making the moves. ✓ If you roll a double your pips count will be twice the pips’ sum of the dice. ✓ After you roll the dice some top pieces on your triangles, will be highlighted. You can start your move with any of those highlighted pieces. To move the pieces, you select the piece by tapping on the triangle on which it lies. Then, at that point the triangle turns blue and the places to which you can move next turn green. Tap on any of those green triangles to initiate the move. When the move ends and if there are moves left on the dice new pieces will be highlighted. ✓ If one of your dice is one you can move one of your pieces only one position. If the piece lies on 2-point you can move it on 3-point for example. If you roll a double, you can make four moves with the same value of the dice from that roll. ✓ You can move your pieces to columns occupied by your pieces, to empty places or places in which your opponent has one piece. 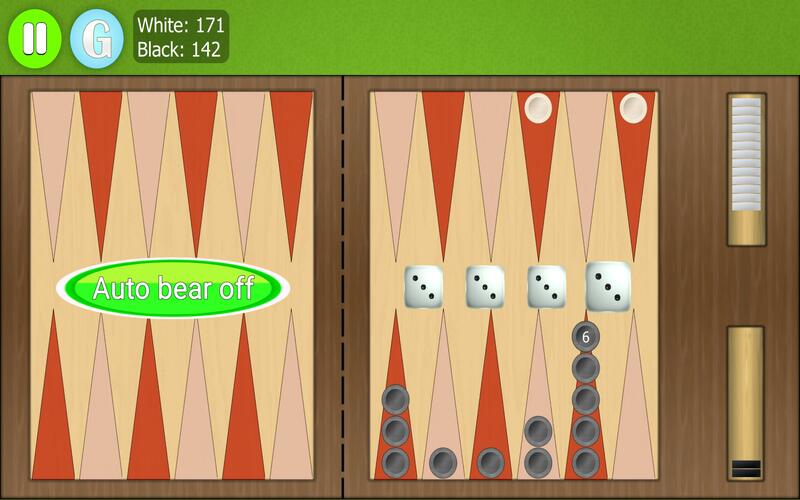 ✓ If you move your piece over the opponent's single piece you can capture it.